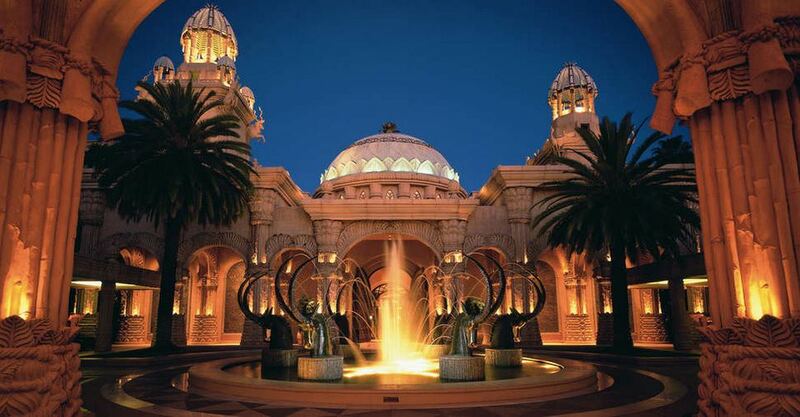 The Palace Sun City or Lost City is opened in December 1992 as Sun City’s flagship hotel. 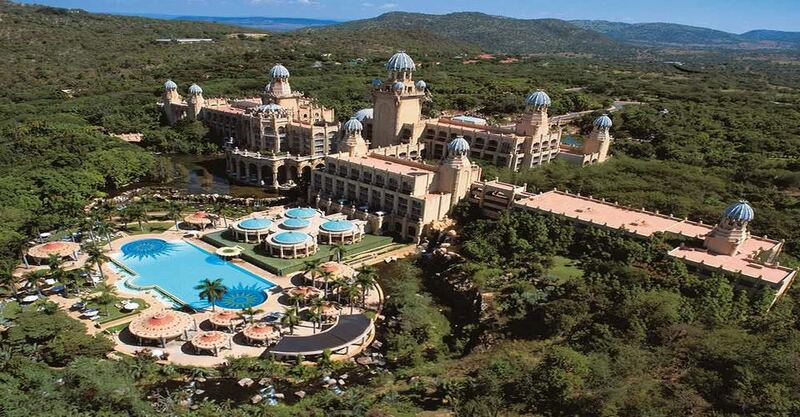 It is first of all with rich African colours and architectural features. 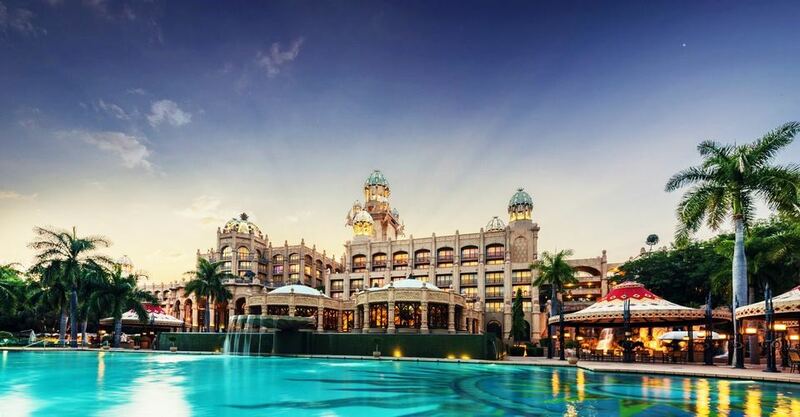 The Palace is rated as one of the Leading Hotels in the World and works hard to maintain and live up to this sought-after status. 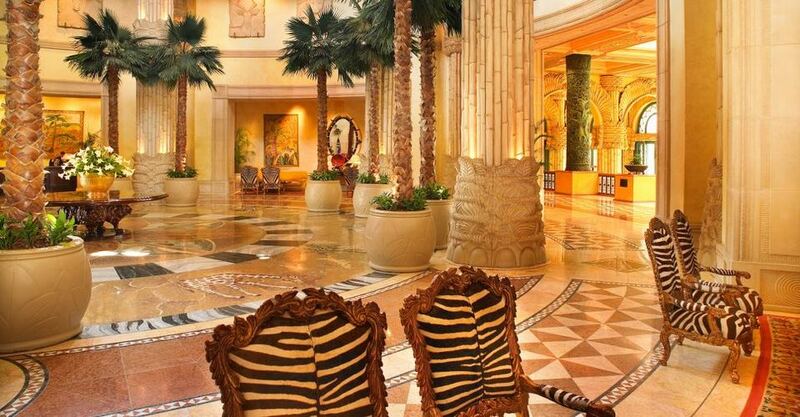 The entrance hall of the Palace of the Lost City sets a precedent for this sophisticated hotel, with its high, intricately painted ceilings, mosaic artworks, and golden zebra-hide upholstered furniture. 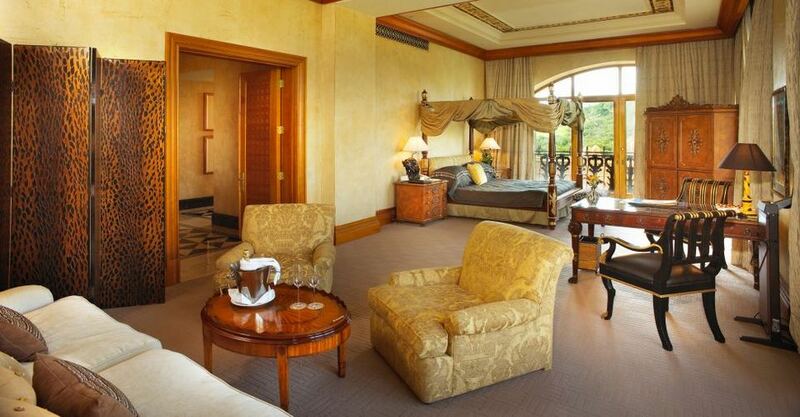 Set within gardens, each room in the hotel is fitted with luxurious, hand-crafted furniture, fit for royalty. 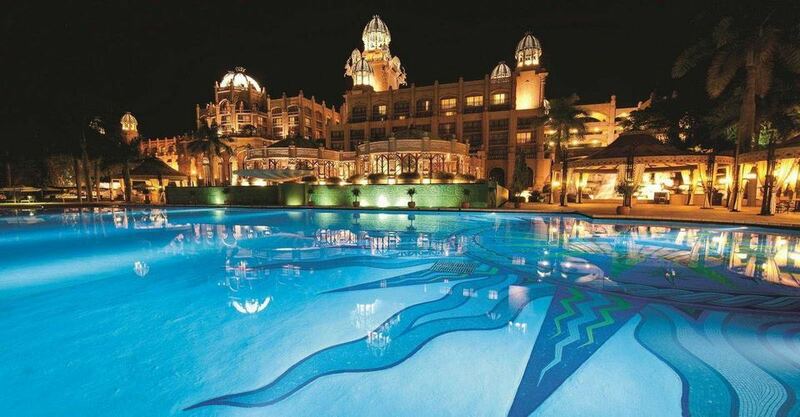 The Palace of the Lost City not only attracts a unique market, both also local and international, with its 5-star deluxe service. Communication is made easy for foreign visitors, with a panel of multilingual staff members available. 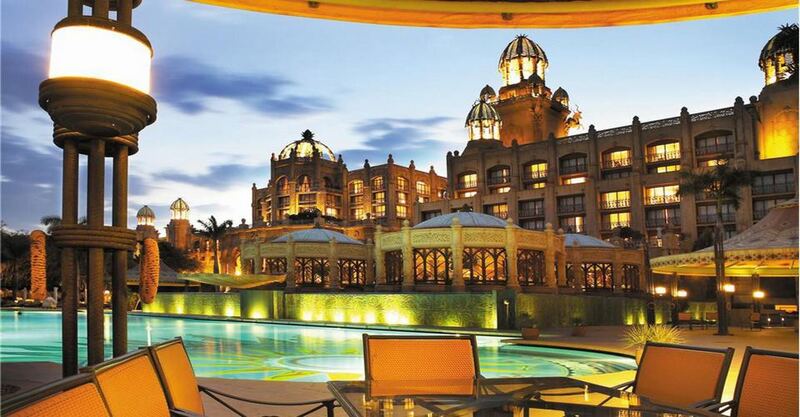 The Palace of the Lost City is also accommodating a dining experience, as it caters for all cuisines and cultures. 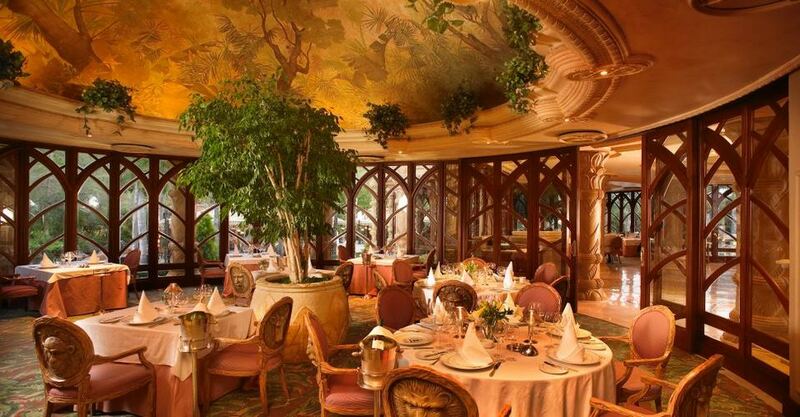 The restaurants and bars at the Palace are elegant and rather extravagant, with one of the greatest attractions being the High Tea at the Crystal Court. 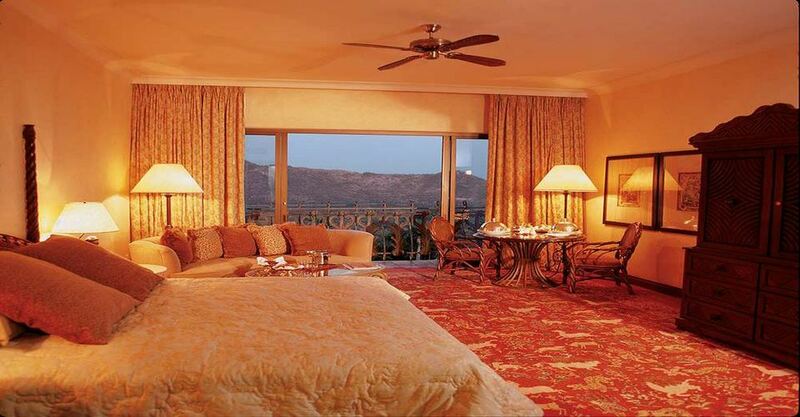 These units sleep 2–4 people, 1 bedroom with a double bed, 1 bathroom with a separate guest toilet. Sleeps 2 people, 1 bedroom with a double bed, 1 bathroom with a separate guest toilet. Sleeps 2 people, 1 bedroom with double bed, 1 bathroom with separate guest toilet. Sleeps 2 people, 1 bedroom with twin bed, 1 bathroom with separate guest toilet. Sleeps 4 people, 2 bedrooms with double beds, 2 bathrooms with separate guest toilet. Sleeps 4 people, 2 bedrooms with double beds, 1 bathroom with a separate guest toilet. Sleeps 2 people, 1 bedroom with a double bed, 2 bathrooms with a separate guest toilet. Universal adaptor socket (Voltage 220/240V). It is about a 2-hour drive to the Hotel. 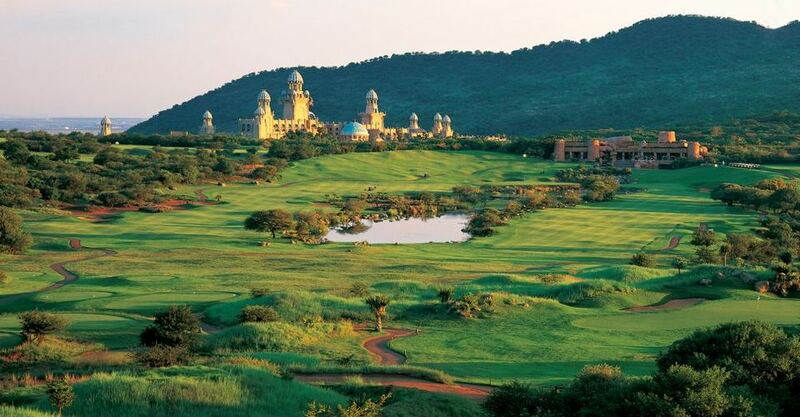 The airport includes free shuttle service to Sun City operated by SA Express. Check out times: 11h00 am. Please make prior arrangements if you will not be able to be accommodated at these times. Children 18 years and younger who are sharing a Superior Luxury Family room with one or two adults (limited to two children per room) are accommodated free of charge including 2 Children’s Breakfasts. A single adult with 1, 2 or 3 children 18 years and younger will be charged the individual room rate inclusive of breakfast for 2 Children and the 3rd Child depending on age will pay as per Children’s Buffet meal Policy listed below. 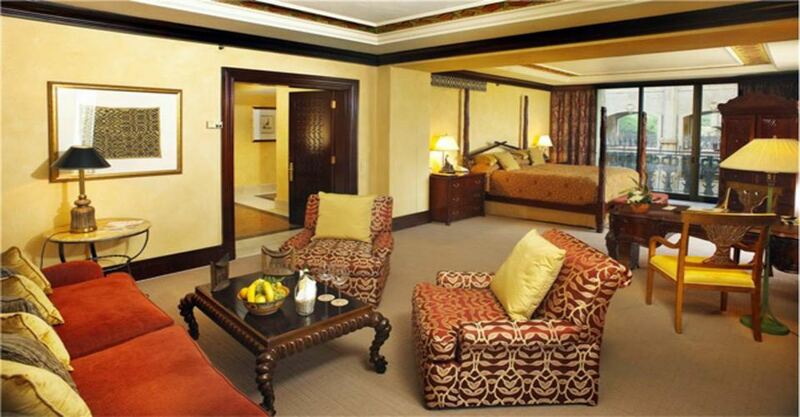 All Suites can accommodate children as per the above policy and is subject to the General Manager’s approval. Children 13 – 18 years: full adult rate. 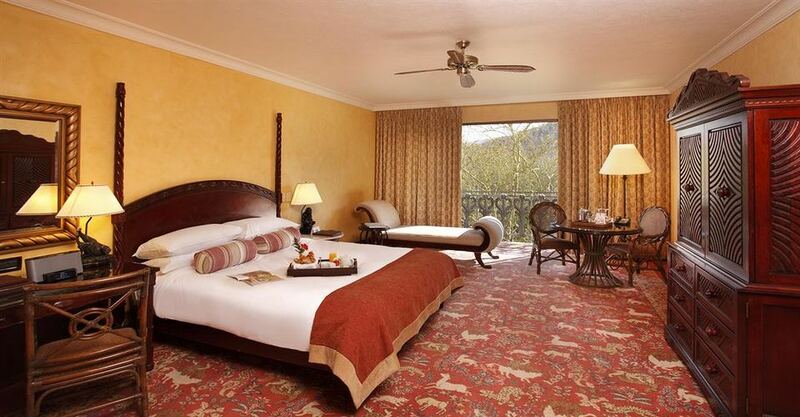 The third adult sharing in a family category room pays 50% of the double rate, also inclusive of English breakfast. RATES INFO: Min 2 nights over weekends only.